I was reallly really busy with all the rushing of CNY orders , photoshoots and after CNY designs since Dec and so i couldnt blog much here and talk more about beauty care and make up. I just got new moisturizer cream ( that isnt oily ) and soft peel gel too which i want to recommend but i find it very good. 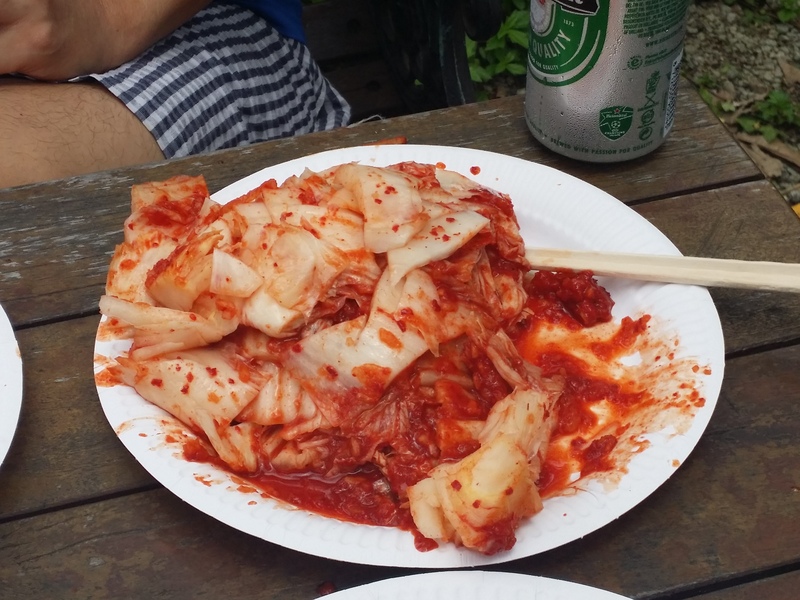 Also , some Korean food recipes ! These were logged on my schedule book but i just need to find a time to write it properly. Last week , i went to Yoona’s ( my make up artist for Agneselle’s photoshoot ) house for eye lash extension. Yes , she is a Korean and she attended make up schools in Korea. And she knows how to do eye lash extension. BEST PART is that….I experienced no itching and after 1 week , only 1 tiny lash dropped off. The rest are still intact. I was kinda curious and amazed that i experienced no itching. Cos i experienced itching along the lash lines when i had it done at some Japanese eyelash salons. After she told me why it itches. And for her technique , the glue doesn’t come in contact or stick onto the skin so it wont itch. She took 3 hours to painstakingly stick single lash by single lash onto my eyelash. Was quite amazed by her patience and detailing. Most detailed MUA i ever met and also the most hygenic one. Saw her make up room at her house where her bridal customers go for trial make up. I had a good sleep for 3 hours and woke up with super beautiful eyelashes. Already 1 week and they are still as luscious as the first day. 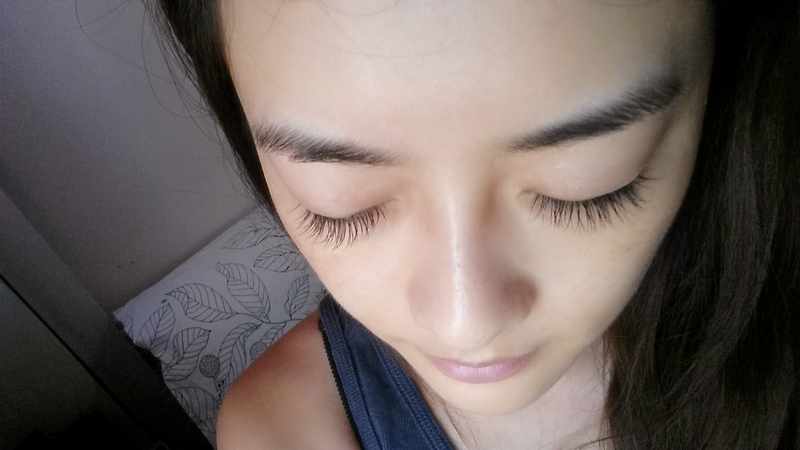 But unfortunately , she doesn’t do eyelash extensions anymore and only do for her friends/relatives now. YAY ! Let’s see and maybe i wanna top up before my trip to Korea end of March. Lol. And my skin was super bling bling and radiant from the laser toning done at Aeon Aesthetics and Medical Clinic which i will blog about in the next post. My Olympus camera was down and lately , i have to go out taking pictures with my Galaxy S4 😦 . 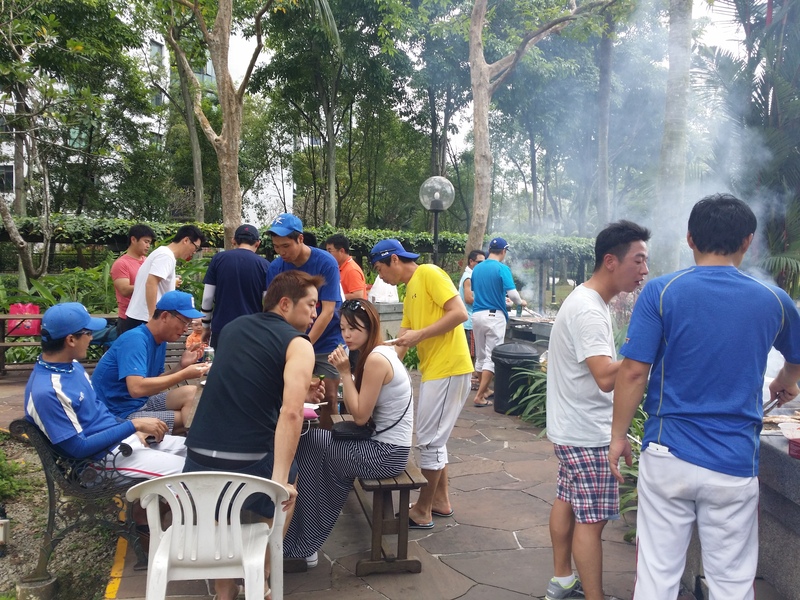 On Sunday , i went to Parc Oasis Condo for BBQ with Oppa’s baseball. I can imagine going out with them and eating endless food from lunch time to dinner time. That always happens and everyone is sooo nice and giving me best part of the dishes. 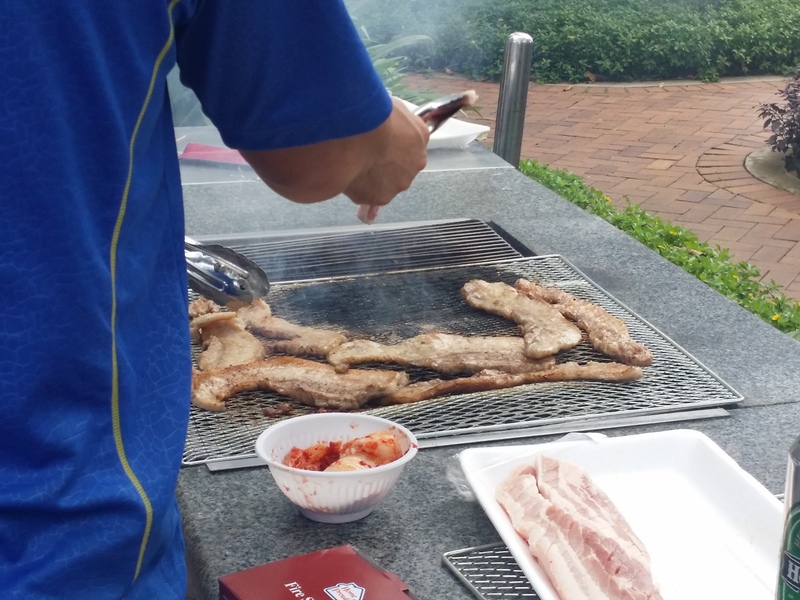 Highlight of the BBQ was not just several styrofoam boxes full of pork belly and more pork. 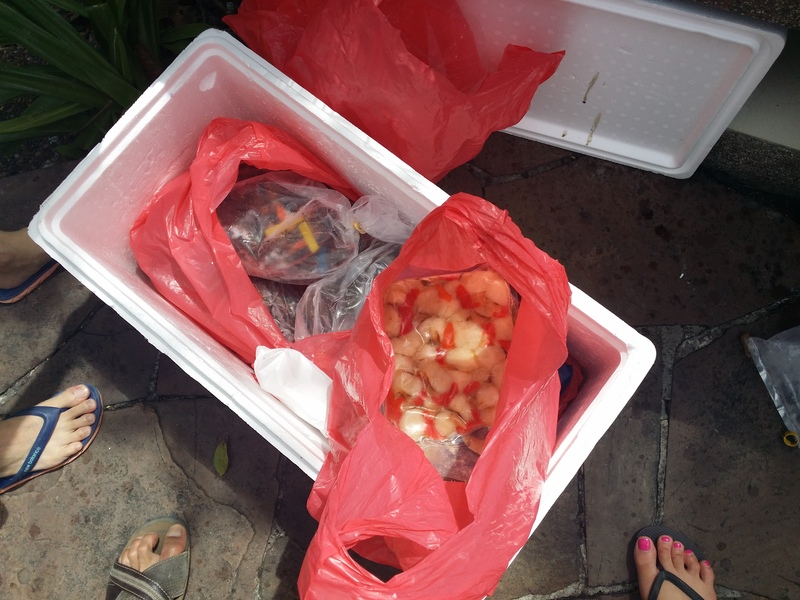 But this time , one of Oppa’s senior works in seafood trading/distributing company and we got 3 styrofoam boxes of lobsters, king crabs , mussels , scallops , crayfishes for only $300++ ! Best of all , the meat was sooooo juicy and huge ! I cut open a lobster and wanna take picture of the FAT , THICK and JUICY meat but…my hands are dirty…LOL. Suddenly i felt that the seafood/crabs/lobsters in a bag kind are super over priced and not worth it. 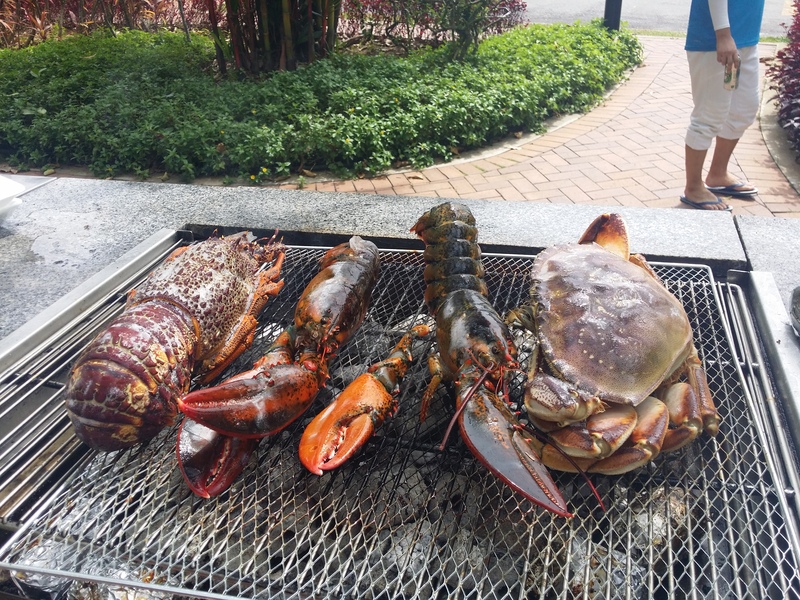 I went to one last year and i had 1 crab and lobster and a bag of prawns for $360++ and i couldnt find much meat in the shells lor..I still must cook ramen when i went back home lor..cos not full enough. Going to Jumbo is definitely more worth it lor..can eat one full meal with many dishes and crabs. My mum asked me to order for a BBQ. LOL..i have to ask my Oppa to help me with it. Side dishes which goes well with the pork bellies – KIM CHI. One of the Oppa supplies Kimchi to supermarkets and restaurants and he is the one who provided the kimchis for all events lol. Kimchi and Lettuce goes well with the pork. Wrap them together and nom nom everything in your mouth ! Alot of drinking too and drinking game. Cartons of beers and sojus and more sojus. Everyone went home drunk and i have to support and hold my 1.86m giant back home. Fortunately i was not crushed by his weight. LOL. Gosh and he forgot how he got home. My giant below was drinking so happily. Lol. Thanks dear for being able to walk even though you are drunk. If not i may need to get 6-8 men to carry you back home. I was eating non stop since 1.30pm to 7pm. Just popping food in the mouth. The only time i stopped was to talk lol. Super fat after that. Shucks i need to go for exercise soon ! Everyone is so friendly , nice and soo caring. Not the MCP Koreans you thought they are. I had the last photoshoot for the month of Feb today. And next monday will be a busy month for me again because i need to rush alot of things before my VERY IMPORTANT trip to Korea. Look out for my next blogpost for K-beauty. Some good products which i bought and i really liked it ! This entry was posted in Korean Culture and tagged Korean.